The Edinburgh-Glasgow Improvement Programme (EGIP) is an improvement programme focusing on the Edinburgh to Glasgow rail corridor. 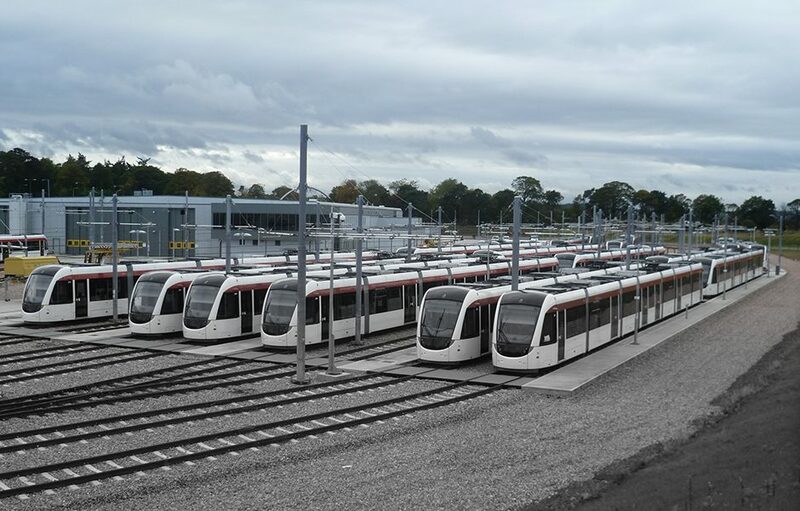 Its aim is to make Edinburgh airport and nearby business developments more accessible by public transport by improving the train services and integrating them with the Edinburgh tram system. Part of the programme included the construction of a new tram depot at Gogar. The depot building includes a two storey accommodation block incorporating staff offices and associated staff facilities plus the tramway system control room. The depot also houses main workshop areas, an internal tram wash area, maintenance pits for tram maintenance as well as stabling areas where the trams are due to be located overnight. 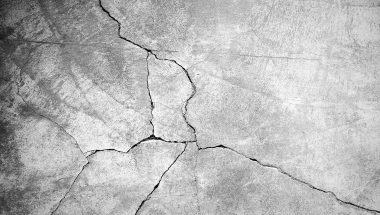 The client’s design brief called for a robust anti-slip coating for the floor, it needed to be: hard wearing, slip resistant, easily cleaned and resistant to chemicals. 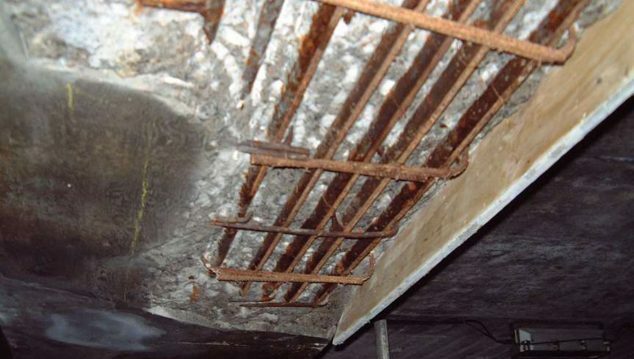 After consultation with Ronacrete’s technical department, Parsons Brinckerhoff specified RonaFloor HB100, a solvent free epoxy resin coating with additional anti-slip aggregate. 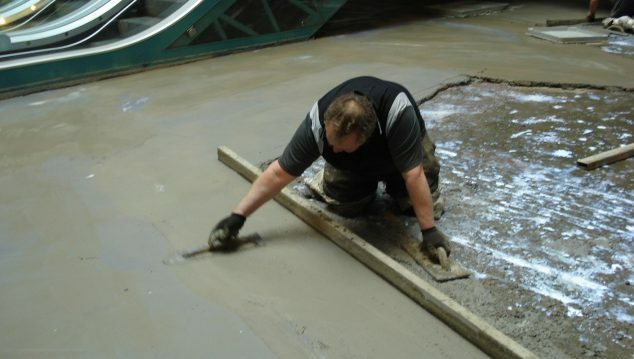 RonaFloor HB100 is suitable for use on concrete, screeded and granolithic floors. Its resistance to abrasion by constant traffic, its tolerance of train wash chemicals and oil spills made it particularly suitable for the tram depot. It is available in a variety of colours to clearly define hazardous areas. 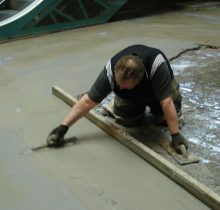 The main contractor, Barr Construction appointed Industrial Floor Treatments Ltd to carry out the coating works. After approval of a trial, Industrial Floor Treatments laid approximately 5000m2 of RonaFloor HB100 in the specified colours. 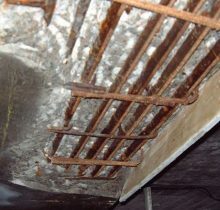 The concrete substrate was prepared by captive shotblasting before the first coat of RonaFloor HB100 was applied by roller. Kiln dried aggregate was scattered into the fresh resin to provide slip resistance and a second coat was applied to encapsulate the aggregate and produce a hygienic and wear resistant surface.